The moment our eyes met I knew you are the one for me, and I for you. And as the years pass my heart even grow dipper in love with you. Destiny brought us together if in chance or fait. and in an instance our love grew and the romance began. As the sun sets and the sky is coloring with stars, we are standing hand in hand and gazing in each others eyes and I whisper in your ear, I loved when we met, I love you now and will love you for ever my dear. Even if I search the universe, I won’t find a loving and wonderful person as you. You make me happy and you never let down. I love you so much and thank you for who you are. The candles are lit, the music is playing softly in the background, I hold you in my arms dancing chick to chick, my heart is booming with joy when I tell you I love you. Full of love you come to me, joy and harmony you Bering with you, in my heart you will always be cherished, since you have chosen to love me. In this crazy world we always run and there is never time. but sometimes we need to stop, hug and love, say to your beloved, loved one, dearest and closest love of my life . I love you so much. When you hold my hand even the worst of days seem easy, when you smile to me, the darkest thoughts go a way. You will never be taken for granted, without you I have no life. Only you will bring me the spring for me, only with you will be happy in the summer, only with you I will walk as the leafs are falling and only with you I will able to survive the winter. Happy Birthday to my sweetest cutie pie. You are my dearest and there won’t be a day that I will not think of you. My life would be completely empty if you were not there in my life. 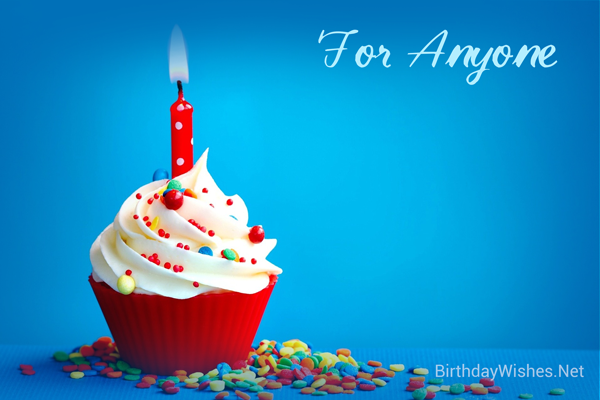 I am glad that I share the special wishes to you on your special day. It’s not being in love that makes me feel excited but in love with you feels me more excited. Happy birthday my love!! If I could bring back the memories, I would think of the first day I kissed you, I looked at your eyes and felt love, thanks god that an angel came into my life and today is her birthday. May this birthday bring her all the wealth, health and happiness and stay with her forever and may your future always shine. Dear sweetheart please remain my first and last love Wish you a very happy birthday honey!! I am alonly fish swimming in the see of your love, birth through you and survive between your storm waves. I am a lonely fish and scared of the day a net will come between us and take me a way. Loving you is a privilege, loving you is a blessing, being with you is a wish come true. The moon and stars won’t be sufficient enough to show you how much I love you. even the darkest night, brightens. Thank you for who and what you are . I love you. My love, to love is one thing to be loved is another, to be loved by the one you love, is everything. There is no night that you don’t come out form the alleys of my heart, there is no day that you are not caressing my fears, out of my Saul. If I could only have one wish I would wish for you to see how others see you, and than you will know how one of a kind and special you are. From the bottom of my heart I want to wish you on this special day. I may not be there with you on your day but I would like you to know that you are always remembered. I always wish you to be healthy and happy. May all your wishes come true on this special day and all the happiness in the world be yours. Wish you a memorable and a happy birthday!! You are always in my heart, here and everywhere. There is no one in the world that makes me feel the same way. May your heart be happy and your days are bright. May your burdens be light and your roads are smooth. May your dreams come true and touch the stars and never forget how special you are to me. May this birthday remain so special just like you. God bless you and a very happy birthday to you my love!! No other day is so important to me than your birthday; there is no other favorite place for me than beside you. Sending you my love on this day and every day. There is always a wish for me to be with you and may that wish come true forever. It is always a treat for me to wish you on your birthday. Take my wishes and be happy for the rest of your life. Wish you a happy birthday my sweetie.